People aren't looking to nuclear power as a solution to global warming because building a plant is just too expensive, says American environmentalist and author Bill McKibben. 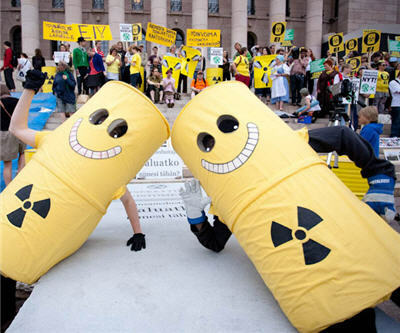 "Given what happened in Fukushima it seems entirely unlikely to me you are going to convince people to put these in," McKibben told the Daily Dish in a recent interview. "[But] it wasn't really environmentalists that put the kibosh on nuclear power, it was pretty much Wall Street. Nobody was willing to pay for these things. "It's like burning $20 bills to generate electricity." McKibben admits there are few places like China where nuclear power is being built "for a variety of reasons." "But even in China they are putting in vastly more renewable energy than nuclear power because they can do it quickly, and they can do it economically."